Home Fire Sprinklers: Bamboozled: Why doesn't N.J. require fire sprinklers in new homes? 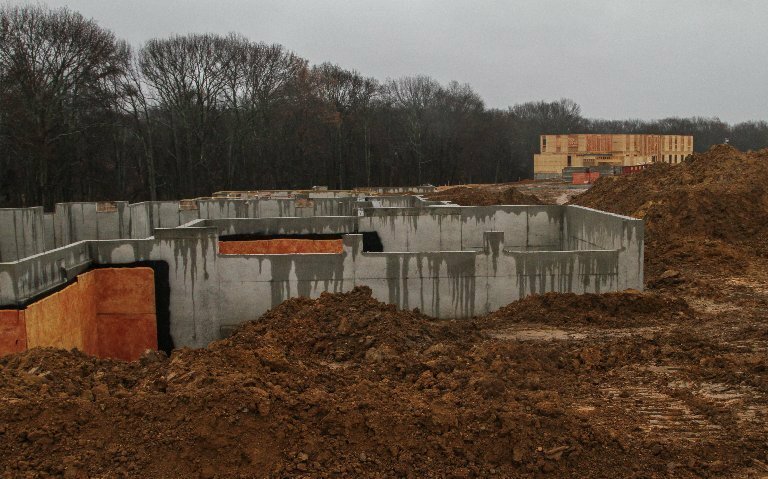 Bamboozled: Why doesn't N.J. require fire sprinklers in new homes? Building a new home is a big endeavor. You want to pick the right kitchen cabinets and countertops, the right lighting fixtures, the right flooring. But one option isn't readily available: a fire suppression system. Fire sprinklers can suppress and often extinguish a fire, reducing heat, smoke and toxic fumes before the fire department arrives. It gives a family more time to escape. Yet if you want your new construction to have sprinklers, you're probably going to have to hire a custom builder rather than buy into a larger development. Or add them after construction is completed. Larger developers simply don't offer the option. The issue came to Bamboozled's attention from a homebuyer who works in the fire protection industry. When Ed Ondayko decided to buy into new construction at Colts Run in Monroe, he asked his builder, Toll Brothers, about a fire system to protect his family: his wife, three children and a dog -- and potentially his wife's elderly mom. But Toll Brothers doesn't offer a system as an option, just as it doesn't offer private in-ground pools or solar panels. Because of his experience with home fires, Ondayko didn't want to take no for an answer. More on that in a moment. Toll Brothers isn't the only developer that doesn't offer sprinklers. We were unable to find a large developer in New Jersey that does, and we couldn't find anyone willing to share why they're not offered. A requirement for fire suppression systems came close to becoming law in New Jersey, but not just yet. Maryland and California adopted the code in 2012, and some municipalities throughout the country have required the systems, said David Kurasz, executive director of the New Jersey Fire Sprinkler Advisory Board, an industry group. Why don't more states have such a law? Homebuilders don't want it, Kurasz said. "The primary response from homebuilders is that fire sprinkler systems should be the consumer's choice and not mandated," Kurasz said. "Unfortunately, as seen in the case with Mr. Ondayko, many homebuilders simply do not want to install the systems as it is not a primary money-making option like carpets, granite countertops or crown molding." In an attempt to bring the code to New Jersey, for two years running, the New Home Fire Safety Act was passed in the Assembly and Senate. The legislation would have required newly constructed one- and two-family homes and townhomes that were connected to a public water supply to have fire sprinkler systems installed. Gov. Chris Christie vetoed the first version, and he conditionally vetoed the one passed this year. Christie said the additional cost would put homebuyers at a disadvantage. His decision is pending a Department of Community Affairs (DCA) cost-benefit review for townhomes, but single- and two-family homes were removed from consideration. Assemblyman John Wisniewski (D-Middlesex), one of the bill's sponsors, said the DCA review is still pending. Back in May, Wisniewski told NJ.com the veto was a "step backwards for fire safety" and "a slap in the face to a community of public safety officials who have endorsed, supported and fought for this legislation." Of course, one could argue that this boils down to a fight between homebuilder lobbyists and those working for the fire safety industry. But it's hard to argue with the fire safety industry's logic. Kurasz said the suppression systems are more important than ever because of the increased use of lightweight wood construction rather than hardwoods, and because home furnishings, such as couches, often use lightweight composite woods, petroleum-based cloth and synthetic fibers. "This causes a home fire to burn quicker and hotter than those of the past," Kurasz said. "When coupled with lightweight wood products used in building today, firefighters and residents are at a much greater risk due to increased heat, toxic fumes and the probability of catastrophic collapse." 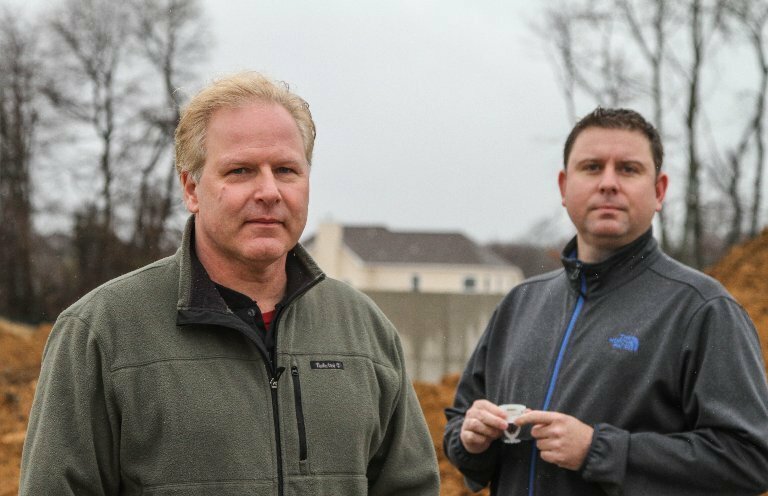 Back to the story of Ed Ondayko, the fire protection guy who is buying a Toll Brothers home. Ondayko said he asked Toll about installing a system now -- when the home is in the construction phase -- because that's the cheapest and easiest time to do it. "Installing sprinklers after construction or retrofitting an existing home can be very invasive," Ondayko said. "It would involve the opening of walls and ceilings which are already finished, installing the piping then repairing the wall and ceilings -- sheetrock installation, spackling and painting. This can be very disruptive and inconvenient to the home owner." Hoping to avoid the mess of a retrofitted system, Ondayko offered to pay for the work and to supply installers, saying Toll Brothers could approve of the contractors before work began. Ondayko started to network, and several fire safety industry groups reached out on his behalf. Kent Mezaros, vice chairman of the board of the National Fire Sprinkler Association and a board member of the New Jersey Fire Sprinkler Advisory Board, asked Toll to review the matter. 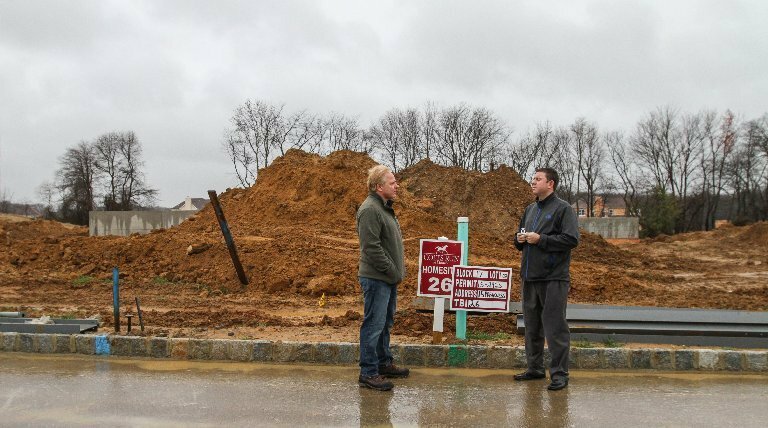 "...We do not have the subcontractors and qualified personnel in place at our single family detached home communities in order to grant this request and undertake a project such as this," said Scott Boehner, the Toll Brothers employee in charge of Colt's Neck at Monroe. And, the letter noted, fire suppression systems are not required in New Jersey. Mezaros responded, saying his company was qualified, and had already registered -- per Toll Brothers' suggestion -- as a sub-contractor to do the job at Ondayko's new home. Plus, he said, the firm was already being used by Toll to install a fire sprinkler system at an apartment complex in East Brunswick. Mezaros' plea didn't change any minds at Toll Brothers. Shane Ray, president of the National Fire Sprinkler Association, asked for reconsideration from Richard Hartman, Toll Brothers' president and COO. In a written response, Hartman said Toll Brothers "currently lacks the resources and expertise to install fire sprinklers." He, too, said the state of New Jersey doesn't require such systems. Ondayko wasn't ready to give up yet, so he contacted Bamboozled. "The safety and well-being of my family mean everything to me," Ondayko said. "One can replace their personal possessions and valuables lost, but nothing can replace the loss or disfigurement of a loved one due to a fire." We asked Toll Brothers to take another look. After a few days, it said its on-site management team was setting up a meeting with Ondayko. Spokeswoman Andrea Meck said Toll doesn't allow homebuyers to bring in their own contractors or friends to do work in homes before closing. "Toll Brothers' goal is to ensure happy homeowners in our communities," Meck said. "If we cannot satisfy Mr. Ondayko, we are happy to explore options to release him from his contract and provide him with a full refund." Ondayko met with the Toll team earlier this month, and it seems the builder had something of a change of heart. Toll presented Ondayko with several options, all using a Toll Brothers contractor to install a system. But the cost would be almost double the cost if Ondayko's company did the job. As a compromise, Ondayko offered to supply the materials and have the Toll contractor do the work, but Toll said no. "It's basically their guy or no guy," Ondayko said, saying the company made clear there was a profit margin to consider for both Toll and the contractor. Another choice was to prepare the home so it would be easier for Ondayko to retrofit the job after the rest of the building was completed. For all the choices, he'd have to pay cash for the job rather than have it be part of his mortgage. And finally, if Ondayko was unhappy, Toll said it would refund all his deposits on the home and he could back out of the deal. "It bugs me to know what it really costs and you have to pay someone else to do it for more. You feel like somehow you got ripped off," he said. "It's like if I was a painter and I hired someone to paint my house for $1,000, but I know I could do it for $500." He's reviewing his options, and we'll let you know what he decides. If you want to learn more about fire safety for your home, check out the Home Fire Sprinkler Coalition and the National Fire Prevention Association. Have you been Bamboozled? Reach Karin Price Mueller at Bamboozled@NJAdvanceMedia.com. Follow her on Twitter @KPMueller. Find Bamboozled on Facebook. Mueller is also the founder of NJMoneyHelp.com. Stay informed and sign up for NJMoneyHelp.com's weekly e-newsletter.